If you have suffered a personal injury, whether it was the fault of your employer or not, if you have lost income, or are likely to lose future income because of the injury, then you can claim compensation for the financial loss. This guide aims to explain the process of claiming for loss of income due to a personal injury. A guide to claiming loss of earnings following a personal injury claim. I am self-employed can I claim loss of earnings? Can I claim for a loss of pension? How do I prove loss of earnings? What does net monthly wage mean? Can I claim for damages? What to do if you are involved in an accident causing you loss of earnings? How to begin your loss of earnings claim. Can I claim for ongoing loss of earnings? What loss of earnings can be claimed for? The most common types of injuries causing loss of earnings. How much compensation will I get following loss of earnings due to a personal injury? No win no fee loss of earnings claims. Why choose us as your claims service for a loss of earnings claim? If you have suffered a personal injury, especially if it was a serious one, you likely already have enough to worry about, besides the financial aspects of the injury. Unfortunately, financial loss of some kind almost always results from a personal injury. And in cases where this financial loss is due to loss of earnings, either current or future, then a claim for compensation can be made. In this guide, we take a look at what the definition of loss of earnings is, and how it applies to the employed, self-employed people or those who may miss making payments into a pension. We discuss how best to prepare for making a loss of earnings claim, and how to work out net income to form the basis of such a claim. We will also explain just what you need to do to begin making a compensation claim for loss of earnings, and we will also introduce you to our No Win No Fee loss of earnings claim service, which can take all of the hard work out of your hands, by letting us pursue your loss of earnings claim for you. As a loss of earnings definition loss of earning occurs when a person suffers a personal accident, which reduces, restricts or prevents them from earning their usual salary or wage. Additionally, loss of future earnings can occur if the personal injury will have a long-term effect on the sufferer’s ability to work, or will have a long-term effect on current investments such as a pension. 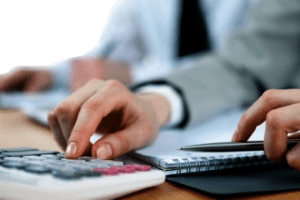 A loss of earnings calculator can be used so that a person can assess their own level of loss of earnings in the present and future. When considering the viability of a loss of earnings claim self employed people may think they have no route to gaining any compensation. Especially if they don’t currently have a self employed loss of earnings insurance policy in place. Working out how much financial loss has already occurred. Working out how much financial loss is likely to occur by using a future loss of earnings calculator. Keep records of all previous invoices and receipts, to form the basis of proof of previous earnings. Keep records of lost orders or contracts that you have failed to fulfil due to the personal injury. Notify your accountant that you are absent from the company. Ensure you have 3 years history of verified company accounts ready to support your loss of earnings compensation claim. In most cases, your accountant will be able to advise you in greater detail about how to prepare for making a claim for loss of earnings as a self-employed person. Missing pension payments due to a personal injury is potentially a future loss of earnings multiplier. Because of the compound nature of pension investments, even a slight hiccup in payments could have very serious financial effects much further down the line. If your capacity to work means you miss pensions payments, you may well have a valid case for making a compensation claim for future loss of income. This would form part of a claim for special damages, and be included in the Schedule of Loss to help decide how much compensation you will be paid. The claim for future loss of income or earnings will need to be backed up by the medical evidence that supports your claim. For most people, we can arrange a local medical examination to help with this. A loss of earnings claim letter detailing the Schedule of Loss attached to the claim. Proof of at least six months previous earnings for an employed person, this will be in the form of wage or pay slips. For a self-employed person, this will be three years of verified business accounts. If loss of overtime is to be included in the loss of earnings compensation claim, then proof of a history of working overtime must be provided. In cases where future loss of earnings will be claimed, then financial evidence must be produced for such losses. For example, if pension payments have been missed, the pension firm will be able to provide a new pension statement, clearly showing how missed payments have devalued the pension. These are the basic kinds of evidence that a court will need for you to prove loss of current or future earnings. There are other kinds, and we can assist you in working out which you can claim, if you use the contact details at the bottom of this page and get in touch with us. To explain how to calculate loss of earnings for personal injury, we first need to understand what net monthly wage means. Net monthly wage means the part of your wage that actually ends up in your pocket after deductions. So, it does not include tax deductions, National Insurance payments and other incentivized deductions such as shared cost leasing of company vehicles. You can only claim for your net loss. As you would never have had the gross amount of your salary to spend in the first place. Yes, you always have the option of claiming for damages following a personal injury, if it has meant you have lost income either now, or in the future. You will need to produce documented evidence of your income for at least six months prior to the loss of earnings occurring. This can be in the form of payslips, or for self-employed people, three years of verified business accounts. If the claim also includes potential over time, a history of worked overtime must be provided. If you can fulfil all of these requirements, then yes, you can claim damages for the loss of earnings. Get the name and contact details including telephone number and address for everyone involved in the accident, and everyone who witnessed the accident. If the police are called to the scene of the accident, be sure to ask them for the case number assigned to it, so that you can ask to see the accident report at a later date. If the accident took place at work, or whilst you were visiting the premises of a company, then make sure that the accident has been recorded in the company accident book. If you have been involved in a road traffic accident, take down the number plate details of every vehicle involved, and the driving license number of the drivers. Make sure your injuries are treated and documented by a professional medical practitioner. Medical records may be needed as proof further down the line. Keep a record of every financial expense and loss you have incurred due to the accident from having to buy a bus ticket, to losing your salary for months on end. These are the kinds of steps you can take to make sure you have the best chance of successfully making a claim for loss of earnings following an accident that resulted in a personal injury. If you are ready to begin a loss of earnings claim then you should consider contacting us to discuss our No Win No Fee loss of earnings claims service. We will be able to assist you by explaining how to calculate loss of earnings for personal injury in simple terms. We will spend some time with you, going over the facts of your injury, such as how and where it occurred. We will also go over your financial losses, including loss of earnings and loss of future income. Once we have all of this information, we will make a recommendation based upon the actual facts of your personal injury case. In most instances, this will mean that we will offer to take on your personal injury loss of earnings claim under a No Win No Fee agreement. More on that further down the page. When you are filling out a loss of earnings claim form, you will be able to indicate whether there is any prospect of ongoing loss of earnings due to your personal injury. You can use a future loss of earnings calculator to work this out. In most cases, if the loss of future earnings can be proven, then there will be a valid route to claiming compensation for it. Although it should be noted that there must be a clearly provable loss. For example, a pension being devalued due to missed payments. Claiming loss of future earnings due to speculative investments, or due to non-tangible reasons is not possible. Additionally, if it can be proven that the accident has had a negative effect on your ability to earn an income in the future. Or that your career prospects have been limited due to the personal injury, then it may be possible to claim future loss of injury for these reasons. Immediate loss of earnings, such as days missed off work causing salary payments to be either reduced or stopped. Future loss of earnings if the injury will prevent you from working for some time. Future loss of income in cases where much further down the line, the money you lost because of the injury will affect you financially. For example, if you have missed pension payments that have reduced the overall value of your pension across its lifetime. Future loss of income in cases where the injury is likely to restrict the sufferer from progressing along their career path. For example, an athlete suffering an injury that prevents them from continuing with their career could potentially claim for this loss. These are the main reasons that loss of earnings will be claimed for as compensation following a personal injury. There are more. Use the contact details at the bottom of the page to get in touch with us, and we will advise you if there are any further types of loss of earnings compensation you might be able to claim in your case. Road traffic accidents – if you are involved in a non-fault accident with another vehicle, you will be able to claim loss of earnings if applicable. Slip, trip or fall accidents – if you fall in a public place, or in any location that a private firm is responsible for the maintenance of, you may have a reason to claim for loss of earnings due to personal injury. Work-related accidents – if you suffer an injury due to an accident at work, and it can clearly be proven your employer was at fault, for example, failing to maintain due Health & Safety Standards, then you should be able to claim compensation for loss of earnings. These are the three most common causes of the accident which lead to a personal injury for which the sufferer will make a loss of earnings claim. This table only deals with loss of earning due to not receiving a regular salary payment. Other types of loss of earnings claims due to personal injury, such as future loss of earnings, will be calculated differently. Use the contact details at the bottom of the page to get in touch with us and we can help you with working out your loss of earnings claim. If you are already losing income, due to the personal injury you have suffered, then the last thing you want to do is begin paying out for expensive legal representation. But this is a true catch 22 situation. If you don’t have legal representation, you likely won’t succeed in making a successful claim for loss of earnings following a personal injury. Luckily, we have come up with a way to help. In most cases we will be able to action your loss of earnings claim on your behalf, using our No Win No Fee loss of earnings claims service. What this means, is that we will pursue your compensation claim on your behalf, and we won’t charge you either an initial engagement fee or ongoing legal costs. In fact, you don’t pay us anything until your claim has been resolved. In the unlikely case that we fail to win any compensation for you, then you still won’t have to pay us anything. We will only ever ask you to pay a fee if we have managed to secure a cash pay-out of compensation for you. We can help you through the entire process of making a claim for loss of earnings following a personal injury. From creating the loss of earnings claim letter, through to representing you in court if need be. We will always explain exactly what we are doing to help you with your claim, and we won’t use legal jargon and confuse you. You will get straight, uncomplicated answers to all of your questions. We will do everything we possibly can to gain you the most compensation possible, but we will never do anything to put your claim at risk. You can trust us to do the right thing for you at all times. Have you recently suffered a personal accident that made you miss work and lose income? Has a long-term effect of a personal injury cost you current or future income? If this fits your case, then please do contact us on 0800 073 8804 and we will arrange a short, free legal consultation to assess your case and offer you some advice on what to do next. If you would prefer not to call us directly, you can use the web chat feature of this page, or email us and we will contact you back. National Debtline is a UK Government sponsored initiative which aims to help people in debt come to terms with the responsibility and begin paying the debt back. If you have suffered a loss of earnings due to a personal injury, you may well be in short-term debt and this site can help. This is a more in-depth guide to paying off not only short-term debts but long-term ones. It will be helpful to people who have suffered the loss of earnings due to a personal injury, by guiding them through dealing with debt, until they receive a compensation payment. If you have had a accident at work that has resulted in loss of earnings contact us today and we will let you know if you can claim all your loss of earnings back, call us today for free advice. If you have had a car accident that has resulted in loss of earnings we could claim back the money for you contact us today for free legal advice.